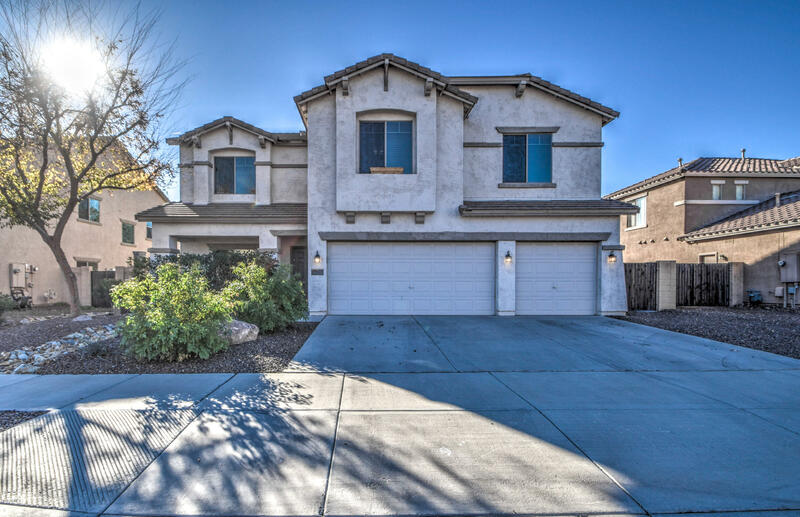 Simply stunning 4 bedroom, 3 bath, 3,675 sq. ft. home in the beautiful subdivision of Sierra Verde. This home features fantastic curb appeal and solar panels as an added bonus! Enter to separate living & family rooms with beautiful travertine stone flooring through all the main living and walking areas. 4 spacious bedrooms and an enormous loft! Master bath suite offers garden tub and separate shower, vanity with double sinks and walk-in closet with mirrored doors. Washer/dryer included. Whole home water filtration. One feature you'll probably love the most is the amazing back yard. The yard is spacious with easy to maintain landscaping. Offers covered patio, sparkling self-cleaning Pebble Tec salt water swimming pool with water feature, built in BBQ and synthetic grass. Leased solar panels on the roof will make a huge difference on the utility bill!